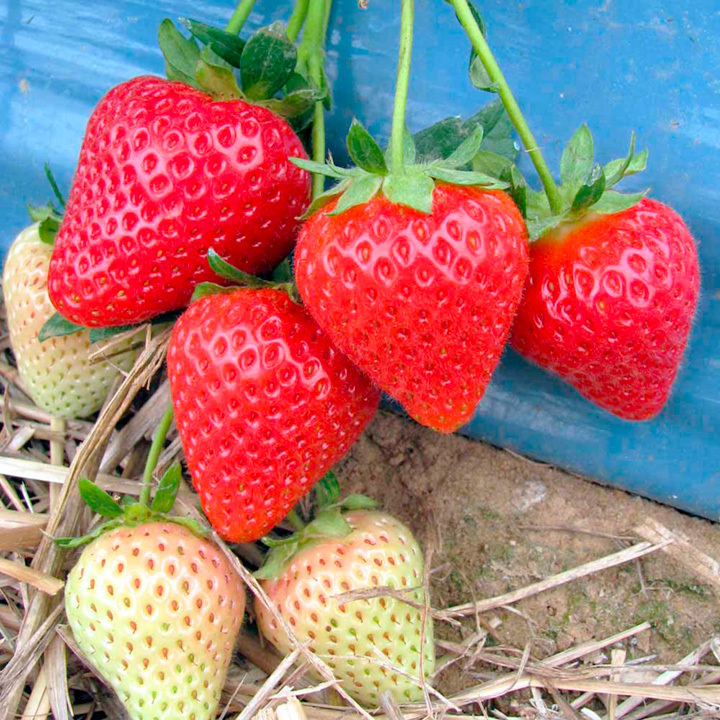 This mid season strawberry is an outstanding variety to celebrate 100 years of the famous East Malling breeding station. Beautiful conical-shaped berries with good colour and flavour. Yields of up to 450g per plant. Supplied as strong, bare root plants. Best single variety - if you only have room for one choose this! Note: At despatch time, plants will be partially dormant and some may have very little foliage. Once planted they are ready to grow away vigorously in spring. Plant strawberries 45cm (18") apart with 75cm (2½’) between each row. Choose a sunny, sheltered spot and dig in plenty of well-rotted manure or compost.